HENRY W. BAHRENBURG, a man of affairs, was born at Hoboken, N.J., December 13, 1871, where he attended the public schools. Mr. Bahrenburg is a son of the late John Henry Bahrenburg a splendid type of the self-made German, who died in 1889 and who, when a boy of twelve years of age, left his native town of Fischerhader, near Bremen, Germany, in 1838, and emigrated to America. In 1869 he established what is now the well known wholesale produce and commission house of J. H. Bahrenburg, Brother & Company, located at Nos. 103 and 105 Murray Street, New York City. The concern is to-day one of the largest, as well as one of the most reliable of its kind in the country. On June 30, 1889, Mr. Bahrenburg died at his home in Hoboken, leaving a widow and three daughters and three sons and mourned by a large circle of friends. During his lifetime he set a high standard for the German citizen; he was genial toward all and correct in principle and practise, both in business and social life, with an instinctive love of what was right, and an equally determined antipathy to all that was mean and wrong. Henry W. Bahrenburg, the subject of this sketch, is well known in the financial and commercial world of New York City and Hoboken. He is a member of the old firm of J. H. Bahrenburg, Brother & Company of New York; is president of the Mountain Ice Company of New Jersey, president of the New York and New Jersey Produce Company; he is also interested in several banking institutions of Hudson County, N.J. In politics he is a Republican. He has never sought nor desired to hold public office, his time being fully occupied with his extensive private business interests. On January 24, 1893, Mr. Bahrenburg married Miss Jessie A. Gahagan, daughter of the late James C. Gahagan, Esq., who was born at London, England, in 1845. He came to America with his parents when he was a lad of six years of age, and has been an honored and esteemed citizen of Hoboken since 1865. Two children have been born to the union: Charles Alfred and Frank Dudley, both of whom are living. Mr. Bahrenburg resides at Summit, N.J., where he has a beautiful home over which his wife faithfully discharges her duties as a charming hostess. Mr. Bahrenburg is a man possessed of agreeable and pleasing manners, a feature he displays in commercial as well as in his social walks of life. Although a strict disciplinarian, by his kindly disposition, he commands the esteem of his employees and his perseverance, integrity and ability to organize and execute have secured him a high position in the business world. JOHN HARGES BAHRENBURG, an extensive ice dealer, whose place of business is in the city of Philadelphia, but his ice product is taken from ponds in Lawrence township, Mercer county, New Jersey, is the son of John Henri and Geisha (Harges) Bahrenburg. John Henri Bahrenburg was twice married, the second wife being the mother of John H. Bahrenburg. The parents were Germans and emigrated to the United States in 1852, landing in New York, where the father engaged in the commission business and later removed to Hoboken, New Jersey. Children of Henri and Geisha (Harges) Bahrenburg were: 1. Henry W., married Jessie Gehagan, by whom was born Alfred and Frank Dudley. 2. John Harges, of whom later. 3. Edward, married Sarah Hughes, one child, Edward, Jr. 4. Annette M.. married Joseph W. Obrieter, one child, Joseph W.
John Harges Bahrenburg was educated in the public schools, high school, then attended Vermont Academy, near Bellows Falls, and later the University at Ann Arbor, Michigan. Prior to going to college he had read law and was sent to Michigan to finish his education, but upon his return from college he abandoned the legal profession and entered the office of Charles Lyons, Jr., and then engaged in mercantile pursuits. In 1805 he engaged in the ice business, in which he became a jobber. In 1807, having bought a pond, he went to cutting ice. at the same time supplving his old trade with ice. He sold his own and the product of others as well. This he still continues, having an office in Philadelphia, and usinsr the ice from the nond in Lawrence township. Mercer countv. In 1003 he sold his propertv interests in Trenton. Mr. Bahrenbursr is a member of Fraternal Lodge No. 130. Free and Accented Masons. He is an independent Republican in politics, and in church connection is a Baptist. Mr. Bahrenhurfr was united in marriage to Margaret S. English, daughter of Franklin P. and Annie B. (Stonakerl English. Franklin P. was the son of George W. and Jane (Richardson) English. The father of George W. English was Jacob English, whose wife was Mary Mahon. Jane (Richardson) English was the daughter of Joseph Richardson and wife, Elizabeth (Bowman) Richardson. Annie B. (Stonaker) English was the daughter of Charles W. and Margaret (Bergen) Stonaker. Children of Franklin P. English and wife were: 1. Walter B., married Laura Dentz. two children: Howard and Robert. 2. Margaret S., wife of John H. Bahrenburg. 3. Harrison, unmarried. Children of Mr. and Mrs. Bahrenburg are: Lydia Margaret, Helen Estelle. Anna Grace, John Franklyn. Born Guttenburg, Germany, 12th June, 1845, immigrated April 1866, lived NYC leather manufacture, passport application 1901. Wife, Aline. They made numerous trips to Europe. Debate swells over future of Neumann Leather in Hoboken after area declared in need of rehabilitation With images of the old factory. James Brock, Flour, Grain, Hay, Feed, Straw, etc., corner Second and Clinton Streets. One among the old, well-known, and popular business men of Hoboken is Mr. James Brock, who for more than thirty years has been engaged in the flour, grain, hay, and feed business. He has a full and comprehensive knowledge of its every detail, and brings to bear upon the business sound judgment and an ability of the highest order. He occupies a spacious warehouse, and always has in stock all the leading and popular brands of family flour from the most noted manufacturers of the country, and also grain in bulk, and feed, hay, straw, etc. The trade, though mostly confined to the city, extends to the surrounding section, and a large annual business is carried on. Mr. James Brock came to the United States from Ireland when he was quite a child. He has resided in Hoboken and been identified with its business interests for many years, where he has always been regarded as an honorable, liberal merchant, and useful, publicspirited citizen. He is familiarly known to the whole community, and holds a leading position among the substantial business men of the city. In June 2017 Rick Schmidlin shared a fabulous photo of his grandmother's brother, Alfred Heise, who died of TB at age four circa 1904. A family letter said he died of Scarlet Fever. Alfred dressed in white is standing on a barrel and is surrounded by 12 men and a boy. The image above was hidden for about 100 years behind a framed photo of Anna Heise's mother, Ida. Rick wrote that his ancestors were from Germany and ran a pub in Hoboken. Anna married Ed Bullwinkel of Jersey City. Her sister, Lou, married Ed's brother, Walter Bulwinkel. Both couples moved to Maywood. "Marjorie B. Schmidlin, age 87, of Lakeville and formerly of Maywood, NJ, died Monday, December 1, 2014 at Wayne Woodlands Manor in Waymart. Mrs. Schmidlin was born August 31, 1927 in Hackensack, NJ and was the daughter of the late Edward and Anna (Heise) Bullwinkel. She was predeceased by her husband, Albert Joseph Schmidlin in 1990. She ran Archer Realty in Lake Ariel and prior to retirement she was the office manager for Dr. Philip Gutherz. She was the past president of the Willing Workers and former treasurer of St. Paul's Lutheran Church. Marjorie was a baseball fanatic and loved the Red Barons. She knitted Christmas stockings for the family. She is survived by two daughters and sons-in-law: Annette and Colin Young of Woodbridge, VA, and Linda and John Thomas Weeks of Dublin, OH; one son and daughter-in-law: Richard Schmidlin and Francesca Marini of College Station, TX; a grandson: Joseph Weeks; and one brother: Albert Bullwinkel of Rochester, NY. A memorial service will be held at the convenience of the family. Cremation will be at Lake Region Crematory in Lake Ariel and inurnment will be in Lakeville Cemetery.Memorials may be made to St. Paul’s Lutheran Church, 405 Church St., Hawley, PA 18428. "Walter Bullwinkel, Jr. Walter Ernest Bullwinkel, Jr. died peacefully on June 14, 2012 at Baptist Memorial Hospital - Union County after a long illness. He was born in Jersey City, N.J. on May 22, 1924 to Walter E. Bullwinkel, Sr. and Louise Heise Bullwinkel. He served as an ensign in the US Navy in the Pacific theater during World War II. He was a lifelong garment manufacturing executive, at one time overseeing seventeen factories in Tennessee, Georgia, Arkansas, Louisiana and Mexico. He had an abiding love for his family, church, community and country. He was a Paul Harris Fellow of the Rotary Club. Preceding him in death were his parents; his first wife, Mildred Akehurst Bullwinkel; his second wife, Chloe Dail Bullwinkel; a daughter, Carole D. Bullwinkel; and a grandson, Stephen B. Bullwinkel. He is survived by his children, Bruce A. Bullwinkel (Lois), Kathryn A. Bullwinkel, Gary R. Bullwinkel (Gail); his stepsons, Joseph D. Dail, Jr. (Suzanne) and Carey Dail; 15 grandchildren and 12 great grandchildren. 1923: In 1923 Oscar Weigelt had a saloon at 232 River street when he was subjected to a $25 shakedown by Edward (Peck) Haneahan representing himself as a police officer. THEODORE CLEMENS HEITEMEYER was born at Paderborn in Westphalia on September 26, 1844, and received his education in the High School and the Gymnasium at Miinster, Westphalia. After various positions in the leather business he entered the firm of R. Neamann & Co. and established with his present partner the manufacturing concern of fine fancy leathers in Newark, N.J. In 1888 the firm, finding better inducements as regards location and commerce, erected their present large works in Hoboken. Mr. Heitemeyer has been the managing partner at the works from the start and still gives the greatest part of his time to their supervision. The goods produced by the firm are known far and wide, and its success is not surprising if it is borne in mind that thorough knowledge of the business in all its branches, strict integrity, enterprise and an unusual organizing and executive ability are combined in the person of one of its members. Mr. Heitemeyer is one of those men who appear to be surcharged with energy, hardly ever resting and observing with a keen eye whatever is important or of value. This valuable gift of recognizing the importance of every detail, or, on the other hand, every defect almost before it manifests itself, together with the ability to decide quickly what must be done, is one of his most marked characteristics. Mr. Heitemeyer has traveled widely and is fond of social diversions. He is a member of the German Verein, German Liederkranz and Arion of New York and of the German Club of Hoboken and a director of the Trust Company of New Jersey. On July 8, 1874, he was married to Miss Mathilde Wegener. Of his three children the son, Robert, is a partner in the father's firm; one daughter, Elfrida, married Count Tareggi, and Elizabeth lives with her parents. In 1913 Robert Heitmeyer and his wife, Elizabeth Smith of Hoboken divorced. Apparently Robert was seeing Mrs. Edna Mayer Alexander, the wife of Frank J Alexander of New York City. It was apparently a messy divorce. Mrs. Edna L. Alexander and Robert T. Heitemeyer, a Hoboken leather merchant, were arraigned yesterday in the Federal District Court before Judge Hunt to plead to an indictment just found against them by the Federal Grand Jury for having entered into a conspiracy to defraud the Government out of the duty on a diamond and sapphire pendant worth $500. See NY Times December 24, 1913 for more on this incident. Elizabeth married John Fagan son of the ex-mayor of Hoboken, Lawrence Fagan. Thy were listed in the 1910 census in Hoboken on Hudson St.
Washington Post November 30, 1915: RELATIVE OF THE HOHNEZOLLERNS IS A NATIVE OF HOBOKEN, N. J.
Countess Elfrida Taveggi who arrived last week from Europe in New York on board the Ryandam, is at one and the same time a relative of the Hohensollerns a member of the Italian nobility and a native of Hoboken, N. J. Death of Theodore Heitmeyer: At Kripp, Germany, on the Rhine, the location of his principle German leather factory, June 22, 1910. He was survived by his wife and three children. He owned the R. Neumann & Co. Leather factory in Hoboken. He left his German business to his daughter Elfrida. He left his son his business in Hoboken. He left his daughter Elizabeth Fagan money and an estate in Elka Park, New York. He left money and stock to his wife. R. Neumann & Co.300 Ferry S., Hoboken. Manufacturer leather and articles of leather. Capital $550000. Incorporators: Clemens T. Heitmeyer, George B. Bernheim and Robert F. Heitmeyer. Trenton, NJ 1910. In 1917 they employed 175 workers. He was listed in 1910 on Hudson St., age 52 "divorced", riding academy. Death of Ann Hexamer: March 15, 1909 NY times, Hexamer, Anne 215 Hudson St, Hovoken, March 23, age 73, Funeral Private. 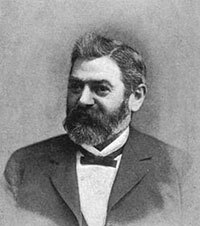 PHILIP HEXAMER, one of Hoboken's oldest and highest esteemed citizens, was born October 27, 1830, at Meisenheim, Germany, and most of his early youth was spent around his native town. He received his only education at Meisenheim, and that period was very brief as he left school at the age of fourteen years. He did odd chores on his father's farm for several years and his early hardships were rather severe. He was about twenty-one years of age when he decided to come to America and face the world upon his own responsibilitie-, and reached New York City in the latter part of 1855. After a brief residence in New York, he moved to Hoboken, N.J. He engaged in the bakery business and in a short time he established two stores. He continued in this line up to the early sixties, when he bought an interest in a riding academy originally established by the Stevens family. Mr. Hexamer joined forces with William Walter and under their able management the venture was crowned with success. Later on his labors were directed in a different channel. 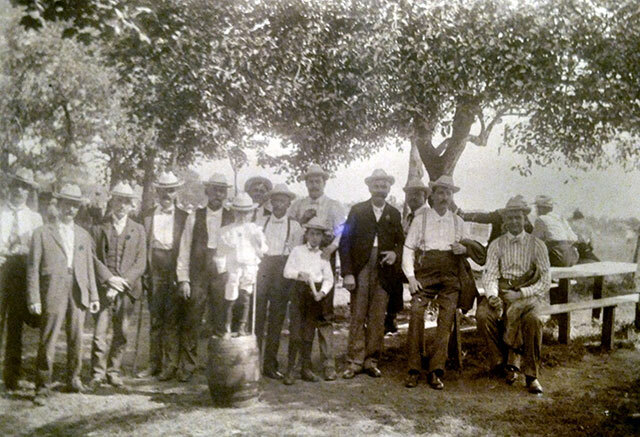 He engaged in the brewing business and for some time the firm was known as Peter & Hexamer. A few years, however, brought him back to his former business. He did not reestablish his riding academy until his return from Europe in 1873. This academy, the best in Hoboken at that time, occupied the present site of St. Mary's Catholic Church on Willow Avenue and Fourth Street. Up to the time of its discontinuance, it was the headquarters of the followers of equestrian sports. In politics Mr. Hexamer was an Independent. He never aspired to any public office. In the early sixties he was one of the enthusiastic organizers as well as one of the officers of a mounted volunteer military troop which rendered valuable service to the city of Hoboken during the early riots and other dis turbances of those days. Mr. Hexamer was not a club man. His only affiliation was with the Masonic order, Hudson Lodge. He attended the German Lutheran Church. On January 18, 1857, he married Miss Anna Peter of Achery, Baden, Germany, and to this union were born two children, one of whom died in infancy. Mr. Hexamer died at his residence in Hoboken on June 1, 1902, and was mourned by a host of friends who remembered him as a loyal citizen, whose natural modesty, affability, and honorable business methods left a lasting impression upon those who had the good fortune of his acquaintance. 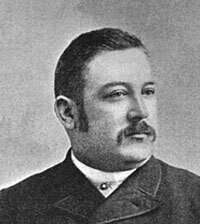 His son, Alexander Philip, was born in Hoboken on October 29, 1857, and has taken up the reins where his father left them and to-day is conducting the finest and best equipped riding academy in Hoboken. He possesses many of his father's admirable qualities, and is one of Hoboken's best citizens, taking an active interest in city affairs. He is a director of the Trust Company of New Jersey, People's Savings Deposit and Trust Company, Bergen Lafayette Trust Company, Colonial Life Insurance Company of America, Hudson County Gas Company and belongs to the German Club of Hoboken and the German Riding Club of Hoboken. Philip Hexamer's Hoboken Riding Academy and Livery Stable, Nos. 103, 105,and 107 Hudson Street, between Second and Third Streets. One of the most healthful and invigorating exercises for either ladies or gentlemen is horseback riding, and to become proficient, skillful, graceful, and accomplished in the art, it is necessary to receive instructions from those who are competent masters in horseman ship, such, for instance, as Mr. Philip Hexamer, who for upward of thirty years has made this a special business and as an instructor is pronounced one of the most capable in this vicinity. He is a thorough adept in the profession, and has the faculty of imparting his knowledge to others in the most intelligent manner in a brief space of time. Every facility and accommodation is provided at the Academy, which is a handsome building, admirably fitted up, the arena having dimensions of 100x100 feet, and for the use of the friends and the families of the pupils a balcony is provided which overlooks the riding-circle, and to further make it agreeable and entertaining, one evening in each week music is provided, which is not only enjoyable to the visitors but also inspiring to both horse and rider. Mr. Hexamer has spared no expense in furnishing the Academy and making it at all times pleasant and agreeable. He has a large stock of fine, well-trained, stylish saddle horses, and also a corps of gentlemanly assistants proficient in horsemanship, who are assiduous in their attention and courteous, polite, and careful with the pupils while in the arena. Mr. Hexamer's riding academy is popular with the leading families in the community and he has gained a widespread reputation as a skillful instructor and ranks as one of the foremost in the profession in this section. Connected with the riding academy he has a first-class livery stable, where may be had at all times first-class riding and driving horses and fashionable carriages, coupes, phaetons, landaus, etc., and, when desired, reliable, careful drivers. These stables are the largest in Hoboken and are 100x150 feet in dimensions, well lighted, and ventilated and provided with every convenience for the care and comfort of horses. Mr. Hexamer has a large sale stable connected with his business, in which will always be found a stock of fine, sound, stylish horses, both for family, driving, and trotting. Mr. Hexamer makes annual trips to Kentucky for the purpose of purchasing thoroughbred animals, and he has hundreds of customers who have confidence in his judgment and who depend on him for horses to suit them. His business is very large. He disposes of hundreds of animals every year, his trade being principally in New York and the near-by cities. Mr. Hexamer is one of the most popular citizens of Hudson County, where he has resided for many years and been identified with its business interests. He is from Germany originally, and during his long residence in Hoboken has won the respect, confidence, and esteem of the whole community by his courtesy and gentlemanly deportment. In the riding academy and in his business he is ably assisted by his son, Mr. Philip Hexamer, Jr., a young gentlemn of fine abilities, a thorough horseman, and reliable business man, who is not only popular with the classes of the Academy but with the whole community of Hoboken and vicinity. Louis W. Hraba established 1879 was a manufacturer of fine leather goods in New York City. In 1898 and 1938 the company was located at 29 East Nineteenth Street. LOUIS W. HRABA, manufacturer of fine leather goods, such as wallets, pocket-books, traveling bags, tourist outfits, mounted in gold and silver, etc., etc., with offices and salesrooms located at 29 East Nineteenth Street, New York City, was born at Vienna, Austria, in 1853. At the unusual age of sixteen he graduated from the Gymnasium, a thorough institution of that city. Shortly after his graduation he came to the United States. In 1872 he located in Hoboken, N.J., where he at present resides and where he is held in the highest esteem socially, publicly and commercially. After arriving in this country, although only a boy, he possessed more than the usual grit for one of his years at that time; he obtained a position with the leather goods firm of Messrs. Enninger & Co., with whom he remained for a short time. After being identified with other houses in a similar line, in 1879 Mr. Hraba embarked in business on his own account and made it a special point to produce the finest leather goods on the American soil. He has been successful in his undertaking and has won the name and reputation in the American as well as Vienna, Paris, Berlin and London markets to stand alone without any near approach, as the maker of the finest and most artistic leather goods that human skill can produce. His business continued to grow rapidly and in order to keep apace with the times, Mr. Hraba removed to his present splendid and commodious quarters, No. 29 East Nineteenth Street. Mr. Hraba in 1876 married a Miss Bruetsch, an estimable lady of Hoboken. They reside at No. 623 Bloomfield Street in that city. One of the pleasing features Mr. Hraba possesses is that his successful business career has never destroyed his great simplicity. In his social and commercial walks in life he possesses none of those snobbish characteristics which so often spoil the successful man of business. WILLIAM KEUFFEL, manufacturer, was born at Walbeck, Germany, on July 19, 1838. He received his education in the public and private schools of his birthplace. At the age of fifteen he left school and became an apprentice in a general merchandise store. where he remained for four years, receiving a severe but thorough mercantile and business training, which fitted him for the successful career of later years. He then entered the employ of a large hardware house in Hanover, Germany, from where, several years later, he went to Birmingham, England. In 1866 he came to the United States where, in 1867, he founded, together with his friend, Hermann Esser, the firm of Keuffel & Esser, now so well known. Drafting was at that time in its infancy in this country and it was Mr. Keuffel's foresight which appreciated its coming importance accompanying the phenomenal development of American manufacturing and engineering enterprise. To supply all the requirements, in office and field, of the surveyor, engineer, architect and draftsman and make a specialty of this business was the purpose of the new firm and Mr. Keuffel can well be called the pioneer of this line, because, up to the founding of his firm, drafting supplies had not been carried exclusively by any house in the United States. The business, beginning in a very small way, was successful from the start and already three years later the firm published its first catalogue of drawing and surveying instruments which has become a standard. Forty years of labor and progress see Mr. Keuffel at the head of the largest house in its line in the world. His factories at Hoboken are one of the landmarks of that city and cover over five and one-half acres floor space. The main store at 127 Fulton Street, New York, is a model establishment, where every requisite of the engineer and draftsman can be found and where unusual facilities are afforded for examining and testing the many delicate instruments of precision included in this line. Similar stores are maintained at Chicago, St. Louis and San Francisco, but the reputation of Keuffel & Esser goods is not confined to the United States, but is recognized over the inhabited world. The business which Mr. Keuffel established forty years ago, when only he and his partner comprised the entire force, employs to-day close to one thousand people. The great success which Mr. Keuffel has attained in building up a business of such magnitude and standing is due to his untiring energy, his far eeing understanding of the needs and the possibilitles of his business, his indomitable will to overcome obstacles and his enthusiasm which enabled him to call forth the best efforts of those working with and under him. His personality was so far above the average that those who met him could not help recognizing it. Mr. Keuffel has been a resident of Hoboken almost from the day he landed in America and has taken a great deal of interest in public and social affairs in New York and Hoboken, being a member of many prominent organizations. He has, however, never entered politics. For many years he was the president of the Hoboken Academy, the well known German-American school, and later on he was much interested in the Manual Training School, of which he was a trustee for a number of years. He is also a member of the Advisory Board of the German Hospital and Dispensary. Mr. Keuffel has a fine summer residence at Elka Park of which association he is honorary president. On December 26, 1871, he married Miss Bertha Schneeberger of St. Louis. He has four children. DR. HANS (John) KUDLICH Had it not been for the downfall of the German and Austrian revolutionary movement in 1848, this country would not, in all probabilities, have gained the subject of this sketch for one of her most distinguished countrymen who, during that eventful period, came to this country with a host of fellow subjects. The life of Dr. Kudlich has been set forth many times as an example to those who desire to remain true to their ideals, no matter how alone they might stand in their own convictions; and again it proves that notwithstanding the difficulties encountered upon the thoroughfares to a useful career, that enviable height can only be surmounted by those who possess the sterling qualities of the doctor. He was born in Lobenstein, Austria, October 25, 1823, and received a thorough education in the Gymnasium College of Troppau, Austria. He attended this institution for six years, in which time he mastered the Latin and Greek languages. After his graduation from the Gymnasium, he went to Vienna, where he took a course in law, and which he continued up to 1848, when the revolution broke forth. His patriotism asserted itself immediately, and he offered his services for the uplifting of his fellow countrymen and the cause he was in sympathy with. During an encounter with the Imperial troops in March of the above year, and which terminated victoriously for the revolutionists, he was wounded, but after being nursed back to life again, he was elected to the Congress which was called by the Emperor, under pressure from the party he represented. A constitution was framed by that Congress for the realm, and the provision that was most important and enduring was fathered by young Kudlich. The abolition of tithes paid by the peasants to the land owners, and of the robat, was championed by him. The peasants had been required to work without pay three days per week upon the lands of the lords. Most of the good work accomplished by the Congress was swept away when the counter revolution occurred, but the restoration of tithes and the robat was not undertaken by the Emperor and to this day the Austrian peasants are exempt from those taxes. This great public service rendered by Dr. Kudlich has made his name dear to millions of Austrian peasants. It was during the memorable siege of the Emperor's troops under Prince Windischgratz that Dr. Kudlich effected a miraculous escape and endeavored to organize an army among the peasantry with which to raise the siege, but after many futile efforts his plans miscarried. He then joined General Siegel's revolutionary army in the southern part of Germany, and when it met with disaster he fled into the interior of Switzerland. His extradition was sought by Austria, but Switzerland merely requested him to withdraw from the country. From Switzerland Dr. Kudlich went to Paris, and in 1853 came to the United States, settling in Greenpoint and later in Williamsburg. One year later he removed to Hoboken, N.J., where he has since resided, enjoying a large and lucrative practise of his profession. His home is located at No. 506 Hudson Street, where he is surrounded by all that culture and taste can desire. It was during his exile in Switzerland that Dr. Kudlich first pursued the study of medicine and his course was concluded in the University of Zurich, graduating therefrom in 1853 with the highest honors. After taking up his residence in Hoboken, it was not long before his skill as a practitioner was observed and the practise he established grew rapidly; up to the time of his retirement from activity his was undoubtedly the largest in the city. During the year of 1853 he married Miss Louise Vogt, daughter of William Vogt, a distinguished professor in the University of Bern, in Switzerland. Dr. Kudlich became associated with the anti-slavery movement shortly after his arrival in this country, and was one of the most ardent supporters. He was a trustee of the Bank of Savings of Hoboken for many years, and was one of the founders of the Hoboken Academy. For many years he was the president of the German which he and Professor Adler were the leading spirits. Without question the best known and one of the most prominent and popular Hebrews of the city, he gave large sums for benevolent purposes without asking whom they would benefit as long as they were worthy of support. He bequeathed one hundred thousand dollars for philanthropic purposes to such societies and institutions as his executors would select, and provided that no distinction should be made on account of religion or race. His wishes were carefully carried out, but this large amount was but a trifle compared to the sums he gave away during his lifetime. 1870 Census: Hoboken Ward 2, Hudson, New Jersey John Kudlick	47, doctor, Austria, Louisa Kudlick	41, Darmstadt, Hellen Kudlick	16, Wm Tell Kudlick	14, Paul Kudlick	12, Herman Kudlick	11, Leona Kudlick	9, Matilda Kudlick	7, Cora Kudlick	5, Hanz Kudlick	3, Edith Kudlick	1, Louise Trager	26, domestic, Mary Dowdy	32, domestic, Delia Casteline	22, domestic, children all born New Jersey. Dr. Hans Kudlich, who was the founder of the Hoboken Academy and the German Club of Hoboken, died at his home there yesterday. He had celebrated his ninety-forth birthday on Oct. 23. 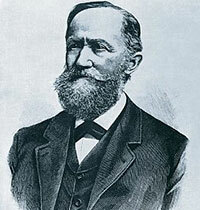 Dr. Kudlich was born in Austria, where he received his early education and later became an Austrian Deputy. His advocacy of radical laws giving greater liberty to the people brought about his banishment form his native county, and after taking part in an abortive revolution in Germany in 1848 he studied mechanic in Berne, Switzerland. He settled in Hoboken in 1853 and since that time had been one of the prominent citizens of that city. In recognition of the asylum given him in Switzerland he named one of his sons William Tell. Besides William Tell Kudlich, who is a physician, Dr. Kudlich is survived by five other children. 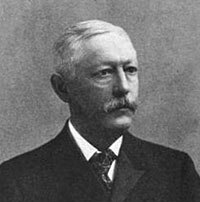 ADOLPH LANKERING, manufacturer, was born at Verden, Germany, on January 9, 1851, and received his education in the public schools of his native city. After serving in various municipal and government offices he entered the Prussian army at the age of eighteen. During the Franco-Prussian war he was assistant in the commissary department and later on placed in charge of a responsible position in the army mail service. At the end of his term of enlistment he was honorably discharged with especial recognition of his services, and with a diploma which entitled him to the appointment as paymaster. He preferred, however, to return to civil life and secured employment as assistant controller with the Rhenish Railway Company at Cologne and later on as private secretary and head bookkeeper with one of the largest banking institutions of that city. In 1875 he decided to visit Chicago, where his married sisters lived, and after a stay of several months, made up his mind to remain in America, inviting his brothers, George and Fred, to join him. Later he entered the firm of Sandhagen & Co., tobacco dealers, as partner. Frequent trips to the East in the interest of his business induced him to sever his connection with the Chicago firm and he established himself with his brothers at Hoboken in the cigar manufacturing and jobbing business. Mr. Lankering has been extremely successful in his undertakings, owing to his wide experience, his hard work and sound business sense, and his sterling integrity. His many good qualities were promptly recognized and his popularity grew all the more rapid as he showed warm and intelligent interest in public affairs. A Democrat in politics, he was appointed police commissioner in 1900 and elected mayor of the city of Hoboken in 1902. The same traits that had brought him success in his business were instrumental in making his administration so satisfactory to the citizens of Hoboken that at the end of his term he was reelected with an increased majority. Mr. Lankering is very active in social affairs. He is a member of almost all the singing societies of Hudson County, the German Club of Hoboken and many other social organizations. He has repeatedly served as president of the Hoboken Quartet Club and as master of Hudson Lodge, F. & A.M., now holding office in the Grand Lodge. The Alliance of German Societies of Hudson County made him their president since 1906. In this capacity he has rendered excellent service in defense of personal liberty and in the agitation against intolerance and fanaticism. The defeat of proposed legislation to establish local option and final prohibition of the sale of intoxicating beverages in the state of New Jersey is greatly due to his activity in organizing the German element throughout the state and in arousing general sentiment against such laws. In 1883 Mr. Lankering married Miss Louise Tistedt, the daughter of one of the earliest and best known settlers of Milwaukee. They have one son. ADOLPH LANKERING Hoboken, (1229 Park Avenue) Postmaster. 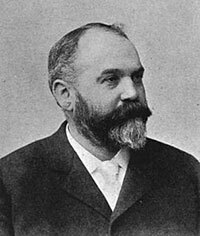 Born at Verden, Germany, January 9, 1851; son of Heinrich and Mathilde (Germanu) Lankering; married at Chicago, Ill., November 10, 1882, to Louise Fisteat, daughter of William and Louise Fisteat of Milwaukee, Wis. Children: Fred, born January 6, 1891; George, born March 6, 1894 (died August 8, 1897). Adolph Lankering is a grandson of a cavalry officer, Heimkh Germann, who served under General Wellington at Waterloo, and received a gold medal and life pension for exceptional bravery in action. His father, Heinrich Lankering, held an administrative position under the Hannoverian government until 1866, when the Kingdom of Hannover became a Prussian Province, and later, disgruntled over the treatment of the new rulers, he emigrated with his family to America. Mr. Lankering received his education chiefly in the public schools and gymnasium of Luechow, Germany, which he attended up to 1867. At the age of twenty-four, in 1875, he took up residence in Chicago, and engaged himself in the leaf tobacco business, and five years later became the partner in the firm of Sandhagen & Co. During this period, Mr. Lankering traveled extensively throughout the Middle West and West, and eventually severed his business connections in Chicago. He was still interested in the tobacco business, however. and established at Hoboken and Paterson. with his brothers, George and Fred, the Lankering Cigar Company. He also took an active part in civic and political affairs as a Democrat. In 1899 he was appointed Police Commissioner of Hoboken by Mayor Pagan. Two years later he became a candidate for the mayoralty himself, and defeated his apponent, and former Mayor Fagan. Two years later, in 1903, he was re-elected by a large majority. In 1909 he became an enthusiastic supporter of Woodrow Wilson while he was Governor, and is still a firm believer in his principles and doctrines. In 1915 he was Wilson's personal choice as postmaster of Hoboken and fills that office at the present writing. Mr. Lankering is a member of the Hudson Lodge, No. 71, F. & A. M., Scottish Rite Mason of the Valley of Jersey City, 32nd degree, Hoboken Lodge No. 74, B. P. O. E.; he is also an active member of the Chamber of Commerce of Hoboken. His business address is: Post Office, Hoboken, N. J.
JOHN RIEFE, president of the Consumers' Brewing Company of New York, Limited, was born at Gestemunde, Germany, on September 9, 1846, where he obtained an education in the local schools. At the age of fifteen, he was employed as an apprentice by a merchant, with whom he remained for four years. He then went to Bremen, where he became connected with a drygoods house, with which he remained for three years. In 1866, Mr. Riefe came to America and settled in New York City. When he arrived in this country, he was unable to speak the English language. He secured a clerkship with a grocery concern and, after several years of hard work and steady application, he saved enough money to embark in business on his own account. He opened a grocery store in Hoboken, N.J., which he conducted for nine years. He then returned to New York and became associated with the Clausen & Price Brewing Company as a collector for that concern. Being possessed of great ambitions and endowed with a strong force of character, Mr. Riefe was soon promoted to the position of secretary and treasurer of the company. His knowledge of the brewing process qualified him as an expert in 1890. With the cooperation of Mr. H. H. Hingslage, Mr. Diedrich Knabe, Mr. William P. Rinckhoff and Mr. Henry L. Meyer, Mr. Rice organized the Consumers' Brewing Company of New York, Limited, and he was then afforded a better oppor tunity to exercise his talents and develop his exceptional qualities. He was elected vice-president of the new corporation and, after the death of Mr. Herman Hingslage, the president, in 1000, Mr. Riefe became the executive head of the company and still continues as such. Beginning with a comparatively small plant, the Consumers' Brewing Company of New York, Limited, is to-day one of the largest cooperative brewing concerns of its kind in the United States, and supplies an annual demand of more than 225,000 barrels of beer. Its vast interests are far-reaching and the magnitude of its product marks the company as one of the foremost concerns in the brewing industry. One hundred and twenty men are constantly employed by this enterprising corporation. To the able administration of Mr. Riefe, the company owes much of its great success. Being a man of the old school, whose business principles are the same as those which he employs in his private life, viz., a kind disposition, being rigidly honorable and charitable to a degree, he is held in the highest esteem by all in every walk of life. Mr. Rice is honorary president of the gigantic Plattdeutsche Volksfest Verein, honorary president of the Fritz Reuter Altenheim (Old People's Home), ex-president of Club Vegesack, ex-president of Amt. Hagener Club, member of the Arion Society, member of the Herman Lodge, F. & A. M., and also member of the Lutheran Church, as well as being associated with many other German societies. He was united in marriage with Miss Gretchen Horstmann, to whom five daughters and two sons have been born. HENRY L. SCHMIDT, manufacturer, was born at Burg on the German island of Fehmarn in 1857. He received a thorough education in the schools of the city of Pinneburg in Holstein and entered the employ of a firm of manufacturing druggists at Altoona in 1872 as office boy. His good qualities were fully appreciated and he rose rapidly until he filled an important position of trust. With this firm he remained until 1880 and in 1882 emigrated to America, settling in Hoboken, where he has resided ever since. Almost immediately he secured a position with Charles Cooper & Co., manufacturers of chemicals at Newark, and the first firm in America to manufacture liquid carbonic acid gas for commercial purposes. Here he remained for ten years as confidential man. On April I, 1892, Mr. Schmidt associated himself with Carl Puck, a manufacturer of mineral water at 114 Hudson Street, Hoboken, and remained a member of the firm of Carl Puck & Co. until 1806, when he bought the interest of his partner and from then on carried on the business alone. Besides manufacturing mineral water, he deals in beer and ale drawing outfits and supplies and in liquid carbonic acid gas. His trade grew so rapidly that the new factory which he had built at 114 Hudson Street became too small and in 1899 he removed to the premises at 510 and 512 Fourth Street which he had purchased and fitted up as a modern bottling establishment, said to be the most spacious and best appointed factory of its kind in the state of New Jersey. He has taken a great interest in all questions concerning his trade and was elected treasurer of the Hudson County Bottlers' Protective Association in 1892, which position he still holds. In 1898 he was elected treasurer of the American Bottlers' Protective Association. He has held this office since then without interruption, being reelected at every national convention of the association, a convincing proof of the high regard in which he is held by the representatives of his trade. In addition he is a member of the executive committee of the association, president of the Beer Pump Jobbers' Association of Greater New York and director of the American Bottlers' Publishing Co. In 1900 Mr. Schmidt was offered the nomination as water commissioner of the city of Hoboken and elected by a large majority. When his term expired in 1905 he was renominated and again elected. He has been president of the board of water commissioners for four consecutive terms. On October 31, 1885, he married Miss Johanna C. Paust of Hoboken, who has given him five children, one son and four daughters. Mrs. Schmidt has, with her husband, attended every bottlers' convention for the past ten years. He occupies an enviable position as a business man and a public-spirited citizen on account of his integrity and his readiness to work for the public good, as well as in social circles, where he is known as a genial companion and a patriotic American who has not forgotten the love for the country of his birth; in short, a model German-American. He belongs to many societies, among them the Hoboken Quartette Club and the Fritz Reuter Altenheim Association, to Advance Lodge 24 of Ancient United Order of Workmen, B.P.O.E. Lodge 74, Herman Lodge 268 New York, and Hudson County Court, 3342, I.O.O.F. GEORGE H. STEIL, merchant, mayor of the city of Hoboken, was born at Hoboken, N.J., on March 29, 1861, as the son of German parents. He received his education in the public schools and under private tutors and graduated at the early age of fifteen, whereupon he immediately engaged in mercantile business. His forceful character and unusual ability carried him rapidly to the front, and simultaneously with the growth of his business interests his influence and popularity increased. Of a genial disposition, of sterling integrity and strict but fair in his business dealings, and at the same time fond of social diversions, Mr. Steil was ere long one of the best and most favorably known citizens of Hoboken. As president of the Nehr Sanitary Bed Association, vice-president of the Hoboken and New Jersey Crematory and representative of the Consumers Park Brewing Co., his business activity was extensive and became constantly more profitable. It did not, however, suffice for the energy and vitality of a man like Mr. Steil, and with the patriotic desire to do his full duty as a citizen, he took an active part in the discussion of public affairs. His many excellent qualifications were quickly recognized and in 1893 he was elected a member of the Board of Education which was followed by his election to the City Council, where he served for ten years as representative of the Fifth Ward, three years as a chairman of the body. In 1905 he was elected mayor of Hoboken on the Democratic ticket by a majority of over one thousand votes and reelected on the citizen ticket in 1907, his majority being almost twice as large. Mr. Steil is president of the Free Public Library and of the Police Board and a member of the Hoboken Cemetery Board and Industrial School Board. He belongs to many social, political and fraternal societies, among them Euclid Lodge 136, F. & A.M., Hoboken Lodge of Elks No. 74, Royal Arcanum 99, Order of Eagles, Atlantic Boat Club, Germania Riding Club, Friday Night Club, Remsen Club, Robert Davis Association of Jersey City and Bruenning Bowling Club, and is president of the Consumers' Park Bowling Club. Mr. Steil married Miss Margaret Sanderson Daniels of New Orleans in September, 1889, and has three children. 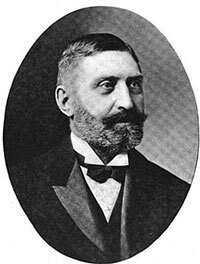 JOHN STENECK, banker, was born at Hambergen in the province of Hanover, Germany, on May 24, 1846, and received his education in the town school of his birthplace. He went into business at an early age and came to America in 1866, settling at Hoboken. Here he established himself as banker and steamship agent as member of the firm of Meyer & Steneck, and met with decided success. His reputation as a financier of more than ordinary ability, sterling integrity and foresightedness grew constantly, and many offers were made to him to take an interest in other financial institutions. He is now a director of the First National Bank and the Hoboken Bank for Savings at Hoboken, N.J. An independent Democrat in politics, he has never aspired to public office, although his standing in the community is such that he could easily secure political preferment. Mr. Steneck is a member of the Lutheran Church, the German Club of Hoboken and a Mason. On August 22, 1876, he was married to Miss Emma Schmittmann and had six children, of whom four are living. Gustav Streng, Justice of the Peace, Notary Public, Pension Attorney, and Commissioner for all the States, No. 84 Washington Street. Mr. Gustav Streng, the popular Justice of the Peace, an honorable, upright official, was first elected to the position in 1872, and again in 1877, and has continuously served the community in the most able and efficient manner, with honor to himself and to the entire satisfaction of the citizens, winning their regard for the soundness of his judgments and the impartial manner in which he performs his duties. He is also a Notary Public, pension attorney, and Commissioner for all the States in the Union, and attends in the most careful manner to drawing up wills, mortgages, deeds, and all other legal writings. Judge Streng is from Germany originally, and has been a resident of Hoboken since 1868. He is a gentleman of fine abilities and attainments, and has always taken an active interest in local affairs. He was a member of the City Councils, and has otherwise been prominent. He exerts a large influence in the councils of his party, and has won the entire confidence and regard of all classes of the community. WILLIAM SEBASTIAN STUHR, lawyer, was born at Brooklyn, N.Y., October 1, 1859, the second son of William Stuhr, who was for many years a member of the Board of Freeholders of Hudson County, N.J. His parents, removing to Hoboken the following year, he received his early education at the Hoboken Academy and subsequently studied four years in Europe. On his return he entered the University of New York and was graduated therefrom with the degree of LL.B. in 1879. He was admitted to the Bar of New Jersey as attorney November 7, 1880, and as counselor three years later. Mr. Stuhr was appointed Corporation Counsel of the city of Hoboken in 1883 and reappointed the following year. In May, 1888, he was appointed Assistant Counsel to the Board of Freeholders of Hudson County and upon completing the work in hand, resigned September first of that year, believing the further continuance of that office unnecessary and a useless expense to the county. He then devoted himself to his law practise. His genial disposition, together with his ability and success, made him hosts of friends and he was not permitted to live long in retirement. In June, 1889, he was elected chairman of the Jeffersonian Democracy of Hudson County and in the fall of that year was nominated by them for State Senator of the county; his nomination was also endorsed by the Republican party. After a bitter contest, the regular Democratic candidate, Edward F. McDonald, was declared elected and took his seat at the organization of the Senate of New Jersey in January, 1890. Mr. Stuhr contested the seat, and being successful was awarded the same by vote of the Senate, and he held it during the remainder of the term. As a result of the testimony taken at the time more than fifty election officers were indicted by the Grand Jury, and of that number forty were tried and convicted. In 1891 the Democrats, gaining control of the Senate, unseated Senator Stuhr. Mr. Stuhr was married on February 18, 1886, to Marietta, daughter of Thomas Miller, Esq., president of the New York Cement Company, and who resides at Flushing, L.I. His wife was also a near relative of General Pettigrew, who was at one time governor of South Carolina. Mr. Stuhr is identified with a number of social, fraternal and benevolent societies in New Jersey. J. Henry Timken c 1862 - 1914? J. Henry Timkin was listed in the 1900 census on Hudson Street as a hotel owner, wife, Rosa, Florence, daughter bron 1890, Rosa daughter born 1891, John H son born 1896, Herman L. born 1897, Louis Weidermann father in law, born 1825, Germany. He owned the Meyers Hotel established in 1884 at the corner of Hudson and 3rd Streets. Over the years the dining facilities at the Meyers Hotel in Hoboken were the scene of meetings for various professional organizations. They continued to serve beer during Prohibition. In 1936 it was compared with: Hofbrau Haus, Luchows, Janssen's Hofbrau and Kuchlins. Circa 1900 it was advertised as"near the North German Lloyd, Hamburg American, Holland American Lines and Scandinavian-America S. S. Piers, "Equipped with Electric Elevator and Electric Light, Steam Heated"
HERMAN L. TIMKEN (deceased), a former mayor of Hoboken, N.J., was born at Lilienthal, Hanover, Germany, April 2, 1830. His father served with distinction as a soldier in the English Army under Wellington, also in the German Army under Bliicher and was roadmaster of his district. After a service himself of seven years in the Hanovarian Army, Mr. Timken was promoted to the rank of sergeant. After severing his connections with his regiment in 1857, he came to the United States, settling at New York City, where he secured a position working at his trade, that of a wood carver and turner. Later he abandoned this class of work, engaging in the flour business on his own account. Two years after his arrival in this country, in 1859, he married Miss Betty Kotzenberg of Hoboken, N.J., and during the same year became a resident of that city. A short time thereafter Mr. Timken began laying the foundation of what grew to be an extensive flour and feed business by establishing the firm of Krone and Timken in New York City. Two years later, after an honorable career, the firm was dissolved, Mr. Timken continuing with Mr. S. M. Rohdenburg, trading under the firm name of Timken & Rohdenburg. In 1870 Mr. Timken purchased the interest of his partner in the business and continued alone until 1876, at which time he began a copartnership with Mr. H. Jacobsen, conducting the business on a more extensive scale both in New York City and Hoboken, N.J. Four years later - in 1880 - another dissolution occurred, Mr. Timken succeeding to firm business in New York, and Mr. Jacobsen to that in Hoboken. In 1885 Mr. Timken removed his business to the latter city and in 1890 Mr. August Hanniball, a son-in-law, confidential clerk and adviser, became his partner; a year later he retired from active business, leaving his son, J. Henry Timken, and Mr. Hanniball to conduct the affairs under the firm name of Timken & Hanniball. Later Mr. Hanniball succeeded to the entire business which he now conducts and which, to-day, is the most extensive of its kind in Hudson County, N.J. Besides ably conducting these interests, Mr. Hanniball is the president of one of the largest wholesale bakery establishments in New York City. He is widely known as a gentleman of honorable reputation, as well as being possessed of large commercial acumen. During his lifetime, Mr. Timken was a man who took a deep interest in all public affairs connected with the city of his adoption. Not being a politician, as the term is largely understood in the present day, his motives were based upon a higher plane, always having uppermost in his mind everything that would in any way promote the interests of the people. He very properly became known far and wide as the "Reform Mayor" of Hoboken. His first public office was that of councilman having been elected to that position from the Third Ward in 1869. He was reelected the following two years. After a temporary retirement on his part for several years, he removed to the Second Ward, and in 1880 was returned as a member of that district. In 1883 Mr. Timken was elected mayor of Hoboken, serving for three consecutive terms, each administration being able, dignified and honest. During his several administrations of the office he largely reduced the tax rate. He strongly favored the creation of the present paid fire department but was opposed in this effort. In 1891 he received the nomination for sheriff of Hudson County from the Jeffersonian Democracy but withdrew from the contest later. In the same year he was a member of the Board of Tax Commissioners, it being the last political office he ever held. Mr. Timken was one of the organizers of Company D, first battalion of the old Second Regiment, in which he served as captain. He formerly served for some years as major of the Fifth Regiment, N.G.S.N.Y. He was vicepresident and one of the organizers of the Second National Bank of Hoboken; was the first president of the American District Telegraph Company of that city. In matters relating to the improvement of the city, Mr. Timken erected the first French type of flat houses in Hoboken at the corner of Sixth and River Streets. Myers Hotel, the finest in Hoboken, was also built by him and belongs to his son, J. H. Timken. He was a member and past master of Hudson Lodge, F. & A. M., the German and Hoboken Quartet clubs, a director of the United States Shuetzen Park Association and a member of the New York Produce Exchange. On July 22, 1892, Mr. Timken's death occurred. He is survived by his wife and five children, viz.i J. H. Timken, H. L. Timken, Alfred Timken, Bertha Hanniball and W. H. A. Timken. The death of Mr. Timken removed from Hoboken one of her most honored citizens, a loving father and husband and a man of untarnished reputation. No man can leave a higher or better heritage to those who come after. Obit in New York Times July 23, 1892 said he died after a "lingering illness". 1900 Census: Hudson Street, Betty Timken, widow age 68 born Germany, 8 children 5 living. 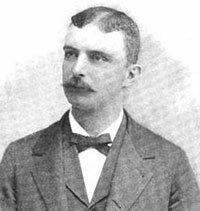 ANTHONY J. VOLK, son of Jacob and Rosa Volk, was born at Hoboken on November 21, 1865. He received his education in the Hoboken Academy and later in the public schools of his native city. After graduating, he engaged in the undertaking business and soon established himself on his own account. He has been very successful and has taken a lively interest in public affairs. A Republican in politics, he was elected coroner for Hudson County in November, 1903, by a majority of nearly fifteen hundred votes in the ordinarily Democratic city of Hoboken, carrying his county by almost six thousand votes. Mr. Volk remains true to the traditions of the country where his parents were born, and while a loyal American citizen, is ever ready to lend his aid to every movement in the interest of the German-American element. Of genial disposition and fond of social diversions, his friends are very numerous, and his popularity is proven by his success in business as well as politics. He is a member of the German Evangelical Church at Sixth and Garden Streets, Hoboken, Hoboken Board of Trade, the Independent and City and Hoboken Schuetzen Corps, Lyra Singing Society, Turn Verein, Gehrder Freundschafts Bund, secretary and treasurer of the Hudson Consumers Ice Co., the Undertakers' Association of his state and county, Hoboken Lodge 74, Elks, Royal Arcanum, K. & L. of H, K. of H., D.O.H., a prominent Odd Fellow and a Mason of Hudson Lodge 71, as well as a member of many other social organizations too numerous to mention. Mr. Volk was married in September, 1888, to Miss Annie M. Kaiser and has three children, Florence M. A., Anthony J. Jr., and Anna M. M. Volk. ANTHONY JACOB VOLK has gained the reputation of being one of the best known and most enterprising undertakers in Hoboken, N. J. where he was born November 21, 1865. In a measure he inherits this from his father, Jacob Volk, who, at the time of his death, on August 3, 1874, was the oldest and foremost undertaker in Hudson County, and who, professionally and privately, was universally respected and esteemed. But his reputation is not altogether inherited from his honored father. It is very largely the result of his own efforts, and of a natural ability developed from boyhood. He is the son of Jacob Volk and Rosa Raab, both natives of Germany. who came to this country when young and were married in New York City. They settled in Hoboken, and were well known throughout the County of Hudson. Mr. Volk attended the public schools of Hoboken and also Hoboken Academy, where he received a thorough classical training. Leaving school at the early age of fourteen, he entered the employ of the National Express Company, and in this and in the office of the American Express Company, both of New York, he spent three years. In 1874 his father died, leaving a large and successful undertaking business to the care of his wife, the mother of Anthony J. Volk, and the latter, when seventeen, assumed its immediate management. Though but a boy, he displayed marked business ability, excellent judgment, and great sagacity, and soon won the respect and confidence of the community. His success was practically instantaneous and uninterrupted. In addition to the undertaking establishment he conducted a large livery stable, and combining the two was necessarily a very busy man. In 1886 he purchased the entire business, which he still continues. Mr. Volk is independent in politics, firm in his convictions, trustworthy in all the relations of life, and influential and active in the best interests of the community. In the autumn of 1893 he was elected Coroner of Hudson County by the handsome plurality of over 4,400, the county usually giving a Democratic majority of about 6.000. This office he filled with great credit and satisfaction for three years. He is a member and past officer of Hudson Lodge, No. 71, F. and A. M., of Hoboken, and also a member of Protection Lodge, No. 634. Knights of Honor, of Lady Washington Lodge, No. 414. Knights and Ladies of Honor, of the American Legion of Honor, of Guiding Star Lodge, No. 189, I. O. O. F,, of Hoboken Council, No. 99. Royal Arcanum, of the Germania Schnetzen Bund of New Jersey, of the Hoboken Schuetzen Corps, of the Hoboken Quartette Club, of the Hoboken Independent Schuetzen Corps, and of the Mannergesang Verein Lyra. For a time he was also financial secretary of the Undertakers' Association of Hudson County. He is a member of the German Lutheran Church, and active in various other organizations. Mr. Volk was married on the 12th of September. 1888, to Anna M. Kaiser, daughter of John Henry and Anna M. Kaiser, of Hoboken. They have two children: Florence M. and Anthony J., Jr.
1870 Census: Hoboken, Hoboken Ward 3, Hudson, New Jersey Jacob Volk	34, undertaker, born Prussia, Rosa Volk	33, born Prussia, Anthony Volk	4, Isabella Volk	3, Anne Volk	9/12, Margt Andrea	47, domestic, born Wortenburg. Coroner: In 1894 Anthony J. Volk. at No. 335 Washington street, Hoboken was the Coroner. Alterations on an extensive scale, are almost completed in the undertaking establishment of Anthony J. Volk & Company: when finished this establishment will be the most up-to-date in the northern section of the State. The work will cost about $8,000. The first floor will have a mosaic flooring with mahogany trim. This floor will contain the ante rooms and several cabinets and closets. The entire arrangement is marked in its artistic effect. Elegant tapestry, rugs and furniture, will furnish the offices and the operating room will be equipped with the latest improvements, so that the facilities for carrying on the work of embalming and preparing the dead for burial will be the best to be had. The design of chandeliers has not yet been decided upon. The first floor will also have a magnificent vestibule. ROBERT VOM CLEFF, deceased, founder of the house of vom Cleff & Company, was born at Cronenberg, near Solingen, Germany, January 29, 1847. He came to America in 1867 and for several years was employed in the New York German Consulate. In 1873 he founded the business of which he has always been the head, it being incorporated under the present style in 1902, he becoming its president. The business of the house has always been the manufacture and importation of general hardware, such as pliers, nippers, surgical instruments, jewelers' tools, pocket cutlery and kindred lines, drawn principally from Germany and France. Mr. vom Cleff was educated at the public schools of Cronenberg, graduating therefrom at the age of fourteen years. He was an apprentice in the cutlery trade up to the age of seventeen years. After arriving in the United States he settled at Hoboken, N.J., where he remained until 1869, at which time he removed to Jersey City Heights. In 1873 he engaged in business on his own account at No. 105 Duane Street, New York City. In politics Mr. vom Cleff was a Republican. At one time he was elected a member of the Board of Education in Jersey City, but on account of illness was unable to accept the office. He was one of the founders of the German-American School of Jersey City. He was a member of the German Lutheran Church, the German Club of Hoboken, the Hardware Club, New York City; the Arion Singing Societies of both New York and Jersey City; he was for many years district deputy in the Masonic fraternity and later a member of the Grand Lodge of New Jersey. An association that was dear to him was his connection with the GermanAmerican School of Jersey City, he having served as president of the board of trustees for many years. He was also a member of the Deutsche Gesellschaft, a noted German organization of New York City. On April 13, 1871, he married Miss Celine W. Oppitz, daughter of William Oppitz of Jersey City, who was a native of Bohemia, but who came to America in 1848. Three children blessed the union of Mr. and Mrs. vom Cleff, viz.i Celine, who married Dr. Louis H. A. Schneider of New York City; Robert and Clara B. The death of Mr. vom Cleff occurred on Friday, September 13, 1907, at Watkins, N.Y. He was buried from his home in Jersey City on the eighteenth of the same month, mourned by a large circle of friends and relatives. Mr. vom Cleff was a big-hearted, whole-souled gentleman, a generous and most considerate employer. He was a man of high character, capable, thoroughly honest and of unquestioned integrity. He is survived by a widow, two daughters and a son. The affairs of the house he founded are sill being carried on as usual. Robert vom Cleff traveled extensively as indicated by numerous ships manifests listed on Ancestry.com. Max Wenzel, Apothecary, No. 89 Fourth St., cor. Willow. One of the popular druggists of Hoboken is Mr. Max Wenzel, who has had an experience extending over ten years in the business. Mr. Wenzel is located at the corner of Fourth and Willow Streets, where he has a well-appointed store and supplies the demand of a large custom in the section of the city in which he resides. He possesses a thorough and comprehensive knowledge of materia medica and knows the quality and properties of drugs and medicines, generally, and in compounding physicians' prescriptions and family recipes always exercises skill and judgment and prepares them in the most systematic and accurate manner. He also keeps in the store a great variety of drugs and chemicals in their purity and also proprietary medicines of acknowledged merit, toilet articles, purfumes, extracts, etc., etc. He is an honored member of that useful class of professional men, the apothecaries, and is highly regarded by the community, whose confidence he enjoys in the highest degree. Mr. Wenzel is a German by birth, a skilled, scientific apothecary, and one that can always be relied upon. He is a courteous, agreeable gentleman, popular with all who have dealings with him. Henry Jacobsen, Flour, Feed, Hay, and Straw, No. 11 Newark Street. One of the popular business men of Hoboken is Mr. Henry Jacobsen, the wellknown dealer in flour and feed, hay, straw, etc., who is located at No. 11 Newark Street. Mr. Jacobsen has been engaged in this business since 1876, and occupies an extensive warehouse, in which he always has a heavy stock of the commodities he handles, including all the leading and popular brands of family flour. He has every facility for carrying on the business, supplies a large demand in Hoboken and surrounding sections, and is enabled to compete with any other in the same line of business of this vicinity. Mr. Jacobsen is from Germany originally, and came to the United States in 1862. He is well and favorably known to a large circle of business acquaintances, and has won a prominent reputation for promptness and fair dealing. He possesses a large experience, which eminently fits him for the trade in which he is engaged. B. Hencken & Co., Dealers in Foreign and Domestic Groceries, Imported Wines, Liquors, etc., No. 118 Newark Street. The retail grocery business in Hoboken is well represented by able, influential business men, among them being the well-known house of Messrs. R. Hencken & Co., which has won the reputation of being the "cheapest cash store in the city." The location is a most excellent one, the store being commodious and admirably arranged for business purposes, and contains one of the best assorted stocks of choice foreign and domestic groceries, both staple and fancy, including fine teas and coffees, canned goods, condiments, and table delicacies, and when in season all kinds of fruits and vegetables. Besides groceries there is also a large stock of choice glass and earthenware, and also imported wines and liquors, which are warranted pure and unadulterated, and also all the popular brands of choice cigars. The business management of the establishment devolves upon Mr. R. Hencken, a gentleman possessing experience and business ability. He is a native of Germany, and for four years has given his entire attention to the business he is now engaged in. New York Roofing Company, Office, No. 28 First Street. Prominent among the representative companies of Hoboken, there are none more extensive than the New York Roofing Company,who for the past sixteen years have been extensively engaged in this special branch of industry. Gravel, metal, and slate roofing, water-tight floors, vault covering, etc., are put on and adjusted in the most approved and scientific manner. The firm are extensive dealers in roofing felt, carpet felt, two and three-ply, white gravel, coal tar, pitch, granite cement, etc. This Company do the largest business in their special line of industry that is done in the country. The officers of the Company are E. H. Kidder, president; J. C. Moses, vice president; Charles L. Pitts, treasurer; Gregory Sutton, secretary. The officesof the Company are located at No. 28 First Street, Hoboken, N. J., No. 437 East Twenty-third Street, N. Y., and No. 49 Greenpoint Avenue, Brooklyn. The gentlemen connected with the firm possess rare tact and ability, are honorable in their transactions, and have, by the exercise of commercial ability and financial integrity, built up a business which is a credit to themselves and an honor to the cities in which it is located. Charles H. Witt, Commission Merchant, and Dealer in Flour, Feed, Grain, etc., Nos. 136-140 First Street. Prominent among the well-known residents of Hoboken is Mr. Chas. H. Witt, who is one of the leading representative merchants of the city, and since 1872 has been engaged in business as a commission merchant and dealer in flour, feed, grain, hay, etc. He brings to bear upon the business sound judgment, tact, and business experience. He watches the markets closely, always giving his patrons the benefit of his knowledge by furnishing them everything handled by him at inside prices, and consignors will always find him prompt in making returns and giving them the benefit of the highest market rates. Mr. Witt is a German by birth, and during his business career in Hoboken has always controlled a large business and gained the confidence of all who have business transactions with him. He is liberal and honorable, and is highly regarded as a public-spirited, influential merchant and citizen. Mr. Witt is also the senior member of the firm of Charles H. Witt & Co., dealers in fine family groceries, provisions and choice liquors, cigars, and also fruits and vegetables, at the corner of First and Grand Streets. J. Gahagan & Song, Molding and Planing Mill, Carving, Turning, and Scroll Sawing, corner Grand and Third Streets. The business conducted by these gentlemen embraces, in connection with a finely equipped planing mill, sawing, turning, scroll work, grooving, matching, carving, and the manufacture of moldings, etc. The premises cover a space of ioox 75 and 100x50 feet, in which they have several buildings divided into different departments, which are fitted up with all the newest and latest improved wood-working machinery, driven by a forty-horse power engine. The firm carry a heavy stock of finished and unfinished lumber and can promptly meet all demands made upon them. The business was established in 1859 by Mr. J. Gahagan and continued by him until 1867, at which time his son, J. C. Gahagan, became a member of the firm. In 1872 W. A., another son, was given an interest, and from that time the business has been conducted under the present firm-name. In August, 1882, the mill was partially destroyed by fire, but with commendable zeal and enterprise the firm have rapidly rebuilt it and made it more useful than ever before having greatly added to their facilities and increased their capacity. Mr. J. Gahagan is from England originally, and the sons, J. C. and W. A. Gahagan, are both natives of New Jersey. They are all practical workmen and business men and enjoy a liberal share of patronage. Mr. J. Gahagan is a popular, liberal, public-spirited citizen of Hoboken, and highly regarded by all who know him. The sons are also popular as business men and enjoy the confidence of the whole community. Paul J. Taylor, M. D., Park Drug Store, No. 87 First Street. Dr. Paul J. Taylor is one of the prominent physicians of Hoboken, and enjoys a popularity, a high social position, and an exalted professional reputation. He came to this country from England many years ago, and pursued his studies in the University of New York, from which he graduated in 1874. He has a large practice, and has won the regard of all classes of the community, and is esteemed for his professional attainments and high qualities as a gentleman. As a physician he has been successful, and has attained an eminence among the profession in this part of the State. Dr. Taylor is also engaged in the drug business, and having a thorough knowledge of drugs and medicines, and the laws and formulas upon which they are administered, possesses many advantages as a compounder of prescriptions. Dr. Taylor is a close student, and keeps pace with all the advances made in medical science. He is one of the representative citizens of Hoboken, and an honored, public-spirited, and useful, professional gentleman. Dr. Taylor is Medical Examiner for the Metropolitan Insurance Company of New York city, which position he has had for two years. Louis M. Stein, Manager for Hudson and Bergen Companies, of Hamburg Bremen Fire Insurance Company, No. 188 Washington Street. 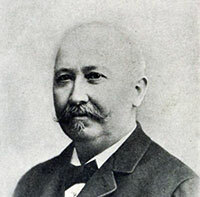 One among the prominent representative citizens of Hoboken is Mr. Louis M. Stein, who for nineteen years has been identified with the insurance business and is the capable and efficient manager of the Hamburg Bremen Fire Insurance Company, of Germany, one of the most solid among the reputable, reliable insurance companies of the world. Mr. Stein has built up a large and substantial business for his Company by his indomitable perseverance and steady application. He is also agent for the Williamsburg City Insurance Company, of Brooklyn, New York, and the New Jersey Plate-glass Insurance Company, of Newark. Mr. Stein is also engaged in real estate transactions, in the purchase and sales of houses, lands, and also in renting and leasing houses, business places, and collecting rents, negotiating loans, and in all matters pertaining to the real estate business. Mr. Stein is a German by birth, and during the time he has been in Hoboken has always been popular and gained the confidence of the whole community. He is a member of the City Councils, in which body he is serving on some of the most important committees. CHARLES S. SCHULTZ - DOCKS - BRICKS, CEMENT, PLASTER, LIME, ETC. Charles S. Shultz, Spruce Timber a Specialty in all dimensions; Philadelphia Front and North River Brick at wholesale; Lime, Lath, Cement, Plaster, Fire Brick, Fire Mortar, Oven Tile, etc., Yard, Fifth Street Docks, Second Office, North of Fifth Street Pier.—An immense activity is noticed along the river front of Hoboken, especially in the timber and lumber trade, one of the most important and flourishing wholesale dealers engaged in it being Mr. Charles S. Shultz, who is one of the most influential merchants in the trade. The premises located at the foot of Fifth Street has an extensive water front with ample docks for receiving and shipping freights by vessels. About an acre of ground is occupied for storage purposes, and every convenience is afforded for handling timber, masons' building materials, etc., in the most expeditious manner. Mr. Shultz is specially engaged in supplying a large demand for spruce timber, of which he has an immense stock of all sizes and dimensions. He also makes a specialty of Philadelphia front and north river bricks, and lime, lath, cement, plaster, fire brick, fire mortar, and oven tiles, which are sold both at wholesale and retail. Mr. Shultz established the business in 1866, from which time it has grown with rapid strides, and he is recognized as one of the largest dealers in his line in this vicinity. Mr. Shultz is a native of Connecticut, but has resided in New York and this vicinity nearly all his life. He is a director of the Hoboken Bank for Savings. Mr. Shultz is one of the successful business men of the city, and encourages every enterprise that is for the advancement and progress of Hoboken. Stephen Bayles, House, Sign, and Fresco Painting, Graining and Paper Hanging, etc., corner Bloomfield and Sixth Streets. One of the prominent old residents of the city of Hoboken is Mr. Stephen Bayles, who has been for more than twenty-eight years engaged in business as a house, sign, and fresco painter and decorator, paper hanger, etc. He is located at the corner of Bloomfield and Sixth Streets, where he has every facility for conducting his business, and in its different branches employs a number of skilled, practical workmen. He makes contracts for all kinds of house painting, and furnishes estimates, and will always be found prompt and reliable in whatever he undertakes. Sign painting, and also frescoing and paper hanging and interior decorations are special features of his business, in which he excels, and he has gained a substantial reputation for the admirable manner in which he forms designs and effects in colors and shades. He also attends to graining, calcimining, and glazing, and makes a specialty of painting banners for military organizations, clubs, and political parties in any style desired at the very shortest notice. Mr. Bayles is a practical man to the business, and having had an experience as long as, if not longer than, any others in the city, can always give perfect and entire satisfaction in every branch of his trade. He is a native of New Jersey, and was born in Kingston, Middlesex County. He exhibits skill and fine taste in his business, and has always enjoyed the confidence of the citizens, by whom he is highly commended as a firstclass business man and one that can be relied on. J. C. Farr, Wholesale and Retail Dealer in Lumber, Timber, Brick, Lath, Lime, Cement, Plaster, Sand, etc., Office and Yard at Fifth Street Dock. Hoboken is one of the most active business centres in the vicinity of New York. Along its river front are the great docks and warehouses of the German steamship lines and also the depots of the heavy coal operators and the docks and yards of those engaged in the lumber trade. An immense business is carried on in lumber, ship timber, and builders' supplies, one of the leading and largest wholesale and retail dealers being Mr. J. C. Farr, who is one of the best posted men in the trade in this section, having been for eighteen years at the head of one of the largest concerns in the lumber trade at Albany, New York. In 1877 he succeeded to the business he now controls, which was established more than twenty years ago by Mr. W. C. Harp, a thorough going, active, enterprising business man. Mr. Farr infused new life into the business and greatly extended the facilities trade, and by his energy and straightforward transactions placed himself at the head and front of the lumber interests in this vicinity. The premises at the foot of Fifth Street have a water frontage of nearly two hundred feet and extend to the rear a distance of three hundred feet. The docks are large and every facility is provided for the discharging of cargoes from vessels and boats and for storing it in the yards. The general business comprises lumber of all kinds, ship and building timber, hardwoods, including black walnut, oak, ash, chestnut, cherry, also whitewood lumber, yellow pine flooring, ceiling, weather boarding, ship plank, birch, hemlock, spruce, etc., dunnage wood, and lumber of all kinds for vessels. Mr. Farr is also a heavy contractor and supplies nearly all the steamship lines sailing out of New York, and builders of docks and warehouses, shipwrights and builders generally, with everything required in lumber or timber. Another important branch of his business is handling brick, lath, lime, cement, plaster, sand, etc., in which line he controls a large trade and always keeps in stock a full and general supply. Mr. J. C. Farr, the proprietor of this extensive business, is a native of the State of New York, and has been identified with the lumber interests all his life. Since he has been located in Hoboken he has always been popular and highly regarded for his enterprise and public spirit. He is the recognized representative of Hoboken's trade and commerce, and has by his extensive operations materially added to the city's prosperity and assisted in developing its commercial and industrial resources. Mr. Farr is extensively engaged in shipping lumber by car-load and vessel-load to all parts of the country. William Mailer, Havana and Domestic Cigars, Chewing and Smoking Tobaccos, Snuff, Pipes, etc., No. 30 Newark Street; Branch Store, near the Ferry. There are a number of first-class business establishments in Hoboken, one of the most important among those engaged in the manufacture and sale of cigars being that of Mr. William Muller, which is located at No. 30 Newark Street, a branch store being also located on the same thoroughfare near the ferry. The business was established by Mr. Muller in 1864, and from that time has always been prosperous and enjoyed a large trade. He also has a full and general line of fine, imported Havana cigars, and makes a specialty of all the leading brands. Chewing and smoking tobaccos of all the popular brands from the leading manufacturers also constitute large portions of his stock, and also snuff, pipes of all kinds, and smokers' articles generally will always be found at his establishment at popular prices. The store at No. 30 Newark Avenue is large and well appointed and is provided with a double front, and forms one of the attractive features of that section of the city. Mr. Muller came to the United States in 1863, and for eighteen years has been located in Hoboken, where he has always been highly esteemed. A. B. Kartell, Inventor and Livery Stable, No. 38 and 40 First Street. Among the prominent representative citizens of Hoboken is Mr. A. B. Hartell, who is well known to the community as a gentleman of scientific attainments and for his numerous improvements and inventions, some of which have been patented and have placed him in the foremost rank among the scientific inventors of the age. Among his most noted inventions is a receiving case for preserving corpses without the use of chemistry or ice, which has been highly commended, and is destined to come into universal use. Mr. Hartell came to this country when a child more than thirty years ago, and for many years has given his attention to scientific pursuits and to inventions. He is a skilled, ingenious mechanic, and for a long time was employed in mechanical business. He is the proprietor of the City Hall Stables, located opposite that edifice on First Street, near Washington. The stables are three stories in height and substantially built of brick, and are provided with all the new improvements for the care and comfort of horses, which are boarded by the day, we.ek, or month. He also keeps a fine stock of stylish horses of first-class appearance, and fashionable coaches, barouches, buggies, landaus, etc., which are to let all hours of the day or night upon the most reasonable terms. D. M. Hubbell, Watchmaker and Jeweler, No 32 Newark Street. Prominent among those engaged in business as watchmakers and jewelers in Hoboken will be found Mr. D. M. Hubbell, who occupies a handsome double-front store, neatly and attractively fitted up, at No. 32 Newark Street. The store is provided with ornamental counters, cases, cabinets, and contains one of the finest and largest assortments of watches and jewelry to be found in the city, embracing all kinds of fashionable jewelry in all the leading styles, suitable for presents for all occasions; also fine gold and silver watches, plain and ornamental clocks, and a great variety of fancy and useful, unique articles that belong to the jewelry trade. Mr. Hubbell has been engaged in this special line of business in Hoboken since 1875. He is a young man, a native of the city of New York, and, being a practical man to the business, gives his personal attention to repairing fine watches and chronometers, also clocks and jewelry, and guarantees and warrants all work to be performed in the best manner that is left in his charge. His experience and facilities are such that he is enabled to attend promptly to the finest work at the very lowest prices. He is popular as a business man, and enjoys the confidence and esteem of all who deal with him. Henry Molz, Pharmacist, Focht's Buildings, corner of First end Adams Streets. Mr. Molz is a thorough, practical pharmacist and an honored member of that learned fraternity. He has a full and comprehensive knowledge of materia medica, knowing the properties and value of every description of drugs and medicines, and as a compounder of physicians' and family prescriptions, is highly recommended by the medical profession and a large class of the community by whom he is patronized. He uses only the purest drugs in the making up of prescriptions, and can always be relied upon for accuracy and thorough efficiency. The store is the finest in the section of the city in which it is located, and is fitted up in a handsome manner with show-cases and ornamental counters, and contains everything that belongs to the business, including all those articles which are needed by physicians, also druggists' sundries and supplies, toilet articles, perfumery, etc., and pure drugs and chemicals and all the various pharmaceutical preparations. Mr. Molz is from Germany originally, and has been in his present business in Hoboken since 1878. . .
Louis Wolfstim, Apothecary, corner Hudson and Newark Streets Among those engaged in business as druggists there are none more popular than Mr. Louis Wolfstim, the well-known apothecary, who is located at the corner of Hudson and Newark Streets. Mr. Wolfstim has a handsome, well-arranged store, fitted up in the best manner with fine show-cases and counters, and being a practical pharmaceutist of many years' practical experience, is the proper person to compound physicians' prescriptions in the most prompt and accurate manner. He is a graduate of the pharmaceutical college of France, and has a certificate from the State of New Jersey. He is a German by birth, and since 1876 has been in his present location in Hoboken. He has a thorough knowledge of drugs and chemicals, and always has in stock a full and varied line of pure, fresh drugs, also a large assortment of foreign and domestic medicines, and all the popular proprietary medicines, and also perfumery, toilet and fancy articles, and makes a specialty of mineral waters of both foreign and home production. Among his preparations is the Infallible Rheumatic and Gout Remedy, which has been prepared by him for the last four years, and has proved to be a most wonderful remedy. It is sold by all druggists. English, French, and German are spoken, and prescriptions in three languages are compounded. Mr. Wolfstim is a courteous gentleman, thoroughly accomplished in his profession, and is an honored and useful member of society. He is highly regarded by all who know him, and is indorsed by all the members of the medical profession, as being skilled, careful, and accurate as a pharmacist. Wm. F. Rusch, Justice of the Peace, Real Estate and Insurance Broker, etc., etc., No. 93 First Street. One of the well-known, popular representative public officers and citizens of Hoboken is Mr. Wm. F. Rusch, who for two terms has had the position of Justice of the Peace, and has won an enviable reputation, and also the regard and esteem of the whole community, for the able and impartial manner he performs the duties of his office. He is an honorable, upright gentleman, and controls a large influence in the city where he is so well and favorably known. Mr. Rusch is also a Commissioner of Deeds, Notary Public, and Conveyancer, and is largely engaged in business as a Real Estate and Insurance Broker, and attends to all matters pertaining to this line of business in the most carefHl, prompt, and accurate manner. He has always enjoyed the high consideration of the community, filling offices of honor and trust in the most satisfactory manner. He is always alive to the city's best interests, and advocates every enterprise that has that object in view. Otto Schmidt, Apothecary, No. 379 Garden Street, corner Ninth Street. - Although Mr. Schmidt's is one of the more recent enterprises in the city, having been established in May, 1882, he has rapidly gained a large custom and acquired the confidence of all who deal with him. He is located in a section of the city that is constantly growing, and his business gives evidence in the near future of being largely developed and more widely extended. Mr. Schmidt is a young man, a German by birth, and graduated from the New York College of Pharmacy. He gives his personal attention to compounding physicians' prescriptions and family recipes, and having a full and comprehensive knowledge of drugs and their properties, prepares them in the most accurate and skillful manner. In his finely appointed store he has a full assortment of pure, fresh drugs, chemicals, and all the various medicines and proprietary preparations, also fancy and toilet articles, perfumes, and the various articles usually found in all well-regulated and conducted establishments of the kind. He is a skilled apothecary, and one of the able and proficient members of that learned and useful fraternity. He is highly commended by the medical profession and is esteemed and regarded by the whole community in which he is located. Mr. Schmidt makes a specialty of fruit essences of all kinds, which he sells at wholesale to the grocery trade in New York and elsewhere; he also is proprietor of a cough-mixture which has a wide reputation and in which a large demand is supplied. H. Kohlmann, Family Groceries, corner Sixth and Garden Streets. Mr. H. Kohlmann for more than nine years has been engaged in the grocery business, and now occupies a fine large store at the corner of Sixth and Garden Streets, where he always keeps in stock a full and choice assortment of fine family groceries of all kinds, both staple and fancy, and also new crop teas and fragrant coffees, pure sugars and spices, and every kind of canned fruits and vegetables, condiments, provisions, etc., and during their season, fresh fruits and vegetables. Mr. Kohlmann controls a large business derived from among the leading families of the city. He is a German by birth, and a first-class, reliable business man, who has always been prominent in social and business circles, and is highly regarded as a useful and honorable citizen. Hoboken Iron Foundry, Second, corner Willow Street, Wm. Ferguson & Son, Proprietors. One of the most important industrial establishments of Hoboken is the Hoboken Iron Foundry, which is located at Second and Willow Streets, the plant covering a space of 125x100 feet. There are several buildings, the foundry proper with store houses, etc. The foundry is provided with every facility for the prosecution of the business, which comprises the manufacture of the Ferguson & Co. patent chilled iron sash weights, dumb-waiter and ballast, and also the castings for engines, in which branch the firm make a specialty and supply a large demand from New York and other sections. They also do all kinds of foundry work and make green sand and dry sand and loam castings of every description, and also pulleys, hangers, couplings, fly-wheels, etc. The business was established by Mr. Wm. Ferguson in 1872, and in 1879 his son, Mr. Wm. Ferguson, Jr., was admitted to an interest, which has since been conducted under the present name and style of firm. The foundry is fully equipped and the firm give their punctual and particular attention to the production of castings of all kinds and for all purposes at the most reasonable rates. Mr. Wm. Ferguson is from Scotland, and his son is of New York city, where they both reside. General Railway and Steamship Office, No. 34 Hudson Street, Albert Seeschaf and M. E. LaCroix, Passenger Agents ; William Utz, Ticket Agent. - The General Railway and Steamship Office at No. 34 Hudson Street, corner Newark, is a great convenience to the many travelers coming from abroad and landing on Jersey shore, and a great accommodation to the people living in the vicinity. The office has been established since 1870 and from that time has been prosperous under the able management of Mr. William Utz, the ticket agent in charge, assisted by Mr. Albert Seeschaf and Mr. M. E. LaCroix as passenger agents. Tickets of all classes to any point in the United States and Canada via the Erie Railway can be procured at this office at rates as low as they can be procured in New York or elsewhere, also passage tickets by all lines sailing from the port of New York to any part of the world. Mr. Utz has been a prominent resident of Hoboken for eighteen years, is well known to the whole community, and enjoys the reputation of being prompt and reliable in all business transactions. The same can be said of his associates, both of whom have lived in Hoboken a number of years. Time-tables, map-folders, etc., etc., are furnished by them free of charge, and all desirable information given in the most courteous and polite manner. Hoboken Coal Company. General Office, Bank Building, cor. Newark and Hudson Streets; Branches, Grove, corner Nineteenth Street, Bay, corner Newark Avenue, Jersey City, and Room 40, No. 111 Broadway, New York. To supply the demands of the large population in and around New York with coal is a commercial industry of ever-expanding dimensions, which is conducted by gentlemen of capital and large business experience, one of the most important companies engaged in it being the Hoboken Coal Company, which handles Scranton, Lehigh, and other coal from the leading prominent mines in the coal region of Pennsylvania. The Company furnish it in quantities to suit at both wholesale and retail, either by the car-load or ton, and supply a large demand from manufacturing establishments, families, steamboats, and river and harbor tugs. The retail yard is located on the Delaware, Lackawanna and Western Railroad, corner Grove and Nineteenth Streets, which is supplied with every facility for the preparation of coal and freeing it from dirt and slate. It is delivered direct from the chutes to carts and wagons, of the very best qualities at the very lowest prices. From the wharves at Hoboken steamboats and tugs are supplied with coal, and also wood and water, at all hours of the day and night. The business conducted by the Hoboken Coal Company extends to New York, Jersey City, Hoboken, and all the surrounding towns and villages in this vicinity. The president of the Company is Chas. Runyon, Esq., and the secretary, W. W. Pierson, gentlemen well known in commercial circles in New York and in this section. The Hoboken Coal Company is one of the largest dealers in coal in this neighborhood, and controls a large and steadily increasing business, on acount of the enterprise evinced by its officers and the excellent facilities they possess for meeting all demands made upon them.